Sorry for not replying to everyone's blogs. I am really not liking the new codes and I tend to ignore those blogs. Also I am so behind at the moment because we currently have no internet access at work. Well I don't really have an update for Afternoon Tea. I have worked on it a bit but not much. I love the way the colours look on this piece :D So happy :D I really really need to set up my light and work on Afternoon Tea but I think I may work some more on this ... or afternoon tea... such a hard decision! Yes, you used beautiful colours! And i hate al those idiot/stupid words as much as you do, my blog is free of that! Oh it's so beautiful, Caitlin! 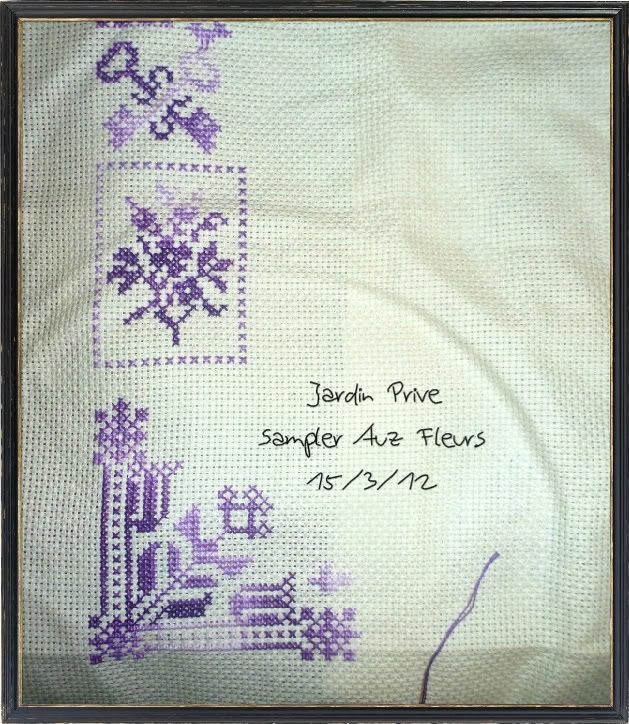 I mentioned your Jardin Prive Sampler in my blog and gave you a Liebster Blog award, so many more stitchers will be coming to visit your blog and see your pretty piece come to life! Wow! You've got a lot done Caitlin! It's looking great!! Its looking great Caitlin. I still love the purple foss. 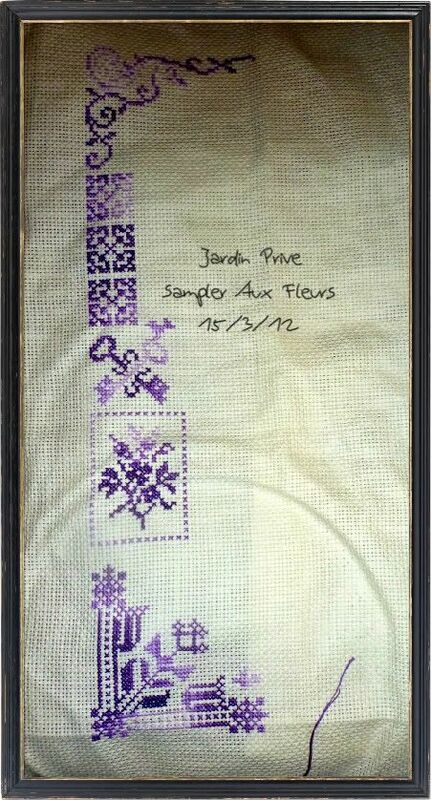 This is lovely in the purple -- can't wait to see it progress.